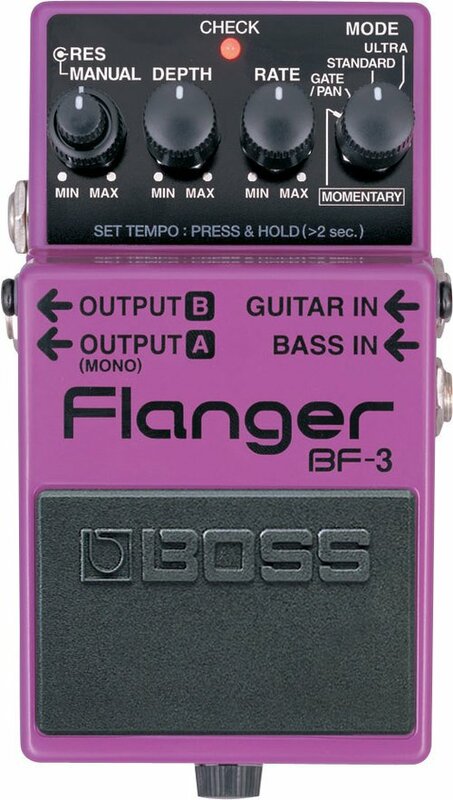 Nostalgic folk out there will recall the BOSS BF-2,the flanger that held its own for so long. Now BOSS has updated and improved it, building on the lush flanging sounds of yesteryear while adding two new modes, Gate/ Pan and Ultra that look to the future. With the BF-2 you have the ability to tap tempo, or should you need it, a momentary effect. Oh yeah, there are separate Bass and Guitar Inputs, also Stereo Outputs. But it’s all about the sound here, whether it’s the standard flanging sounds, or the new Ultra, which is a stronger than normal effect, or the Gate/Pan setting, which mixes a noise gate with a pan effect to create a rotating sound.